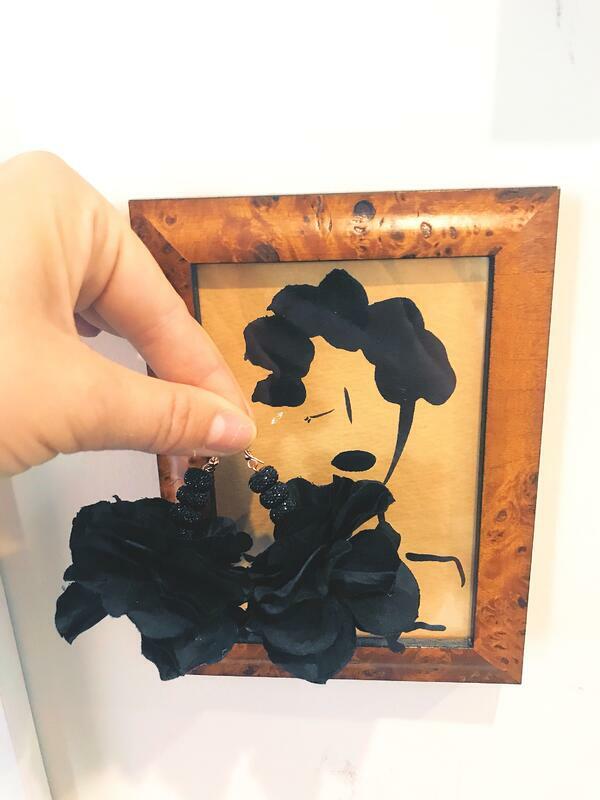 Flower Earrings. Floral Earrings. Flower Jewelry. Flower jewelry and flower earrings are the best spring and summer accessory trend to come along in a long time. We hope you will follow along and start to wear flowers on your ears with our flower earrings. Fetes de Fleurs has gotten into the flower jewelry game and we are excited to be here. 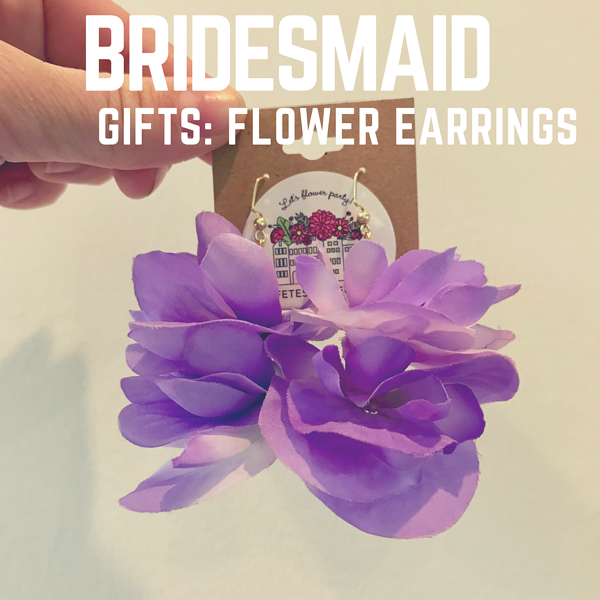 You can check out our latest flower earrings either on our Etsy store here or on our flower jewelry online store here at Bijoix de Fleurs. Creating with flowers is when I feel my best. Flowers are beautiful on their own. When you can combine the love of jewelry and flowers together- we get some beautiful flower masterpieces and works of art that we can wear! Wearing flowers as jewelry is the super chic wedding look of the year. Trying to figure out what you want your bride tribe to wear on the day of the wedding? 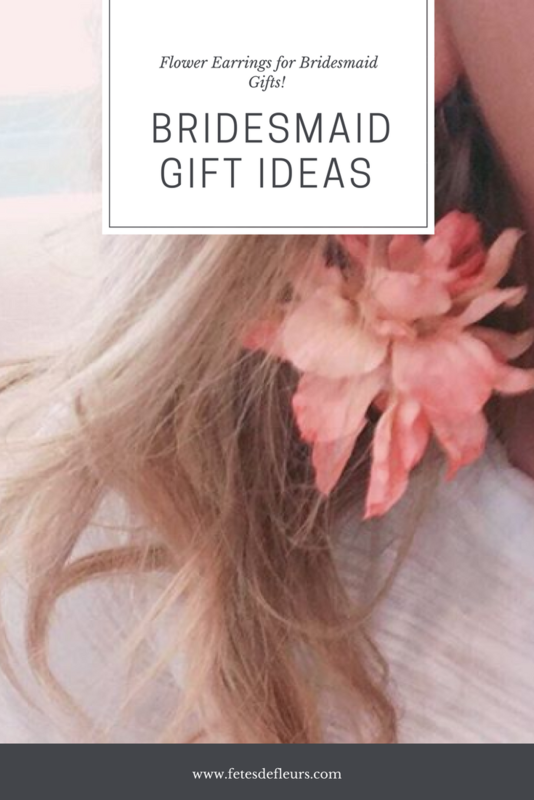 Want a cute bridesmaid gift or way to ask your bride tribe to join you as being your bridesmaids? 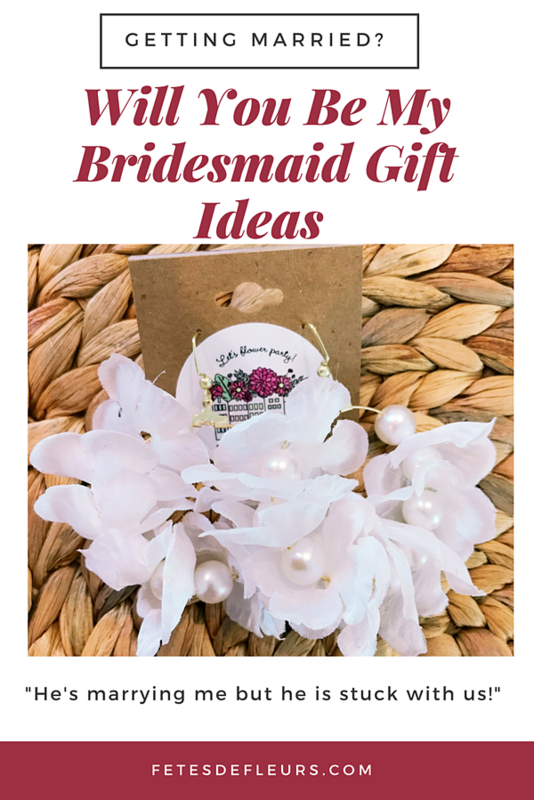 Need a unique "will you be my bridesmaid present" or "will you be my maid of honor gift"? We love creating with flowers. Fetes de Fleurs was created from my love for flowers. But, more than just my love of beautiful flowers it is really about being creative with flowers and having fun with flowers. 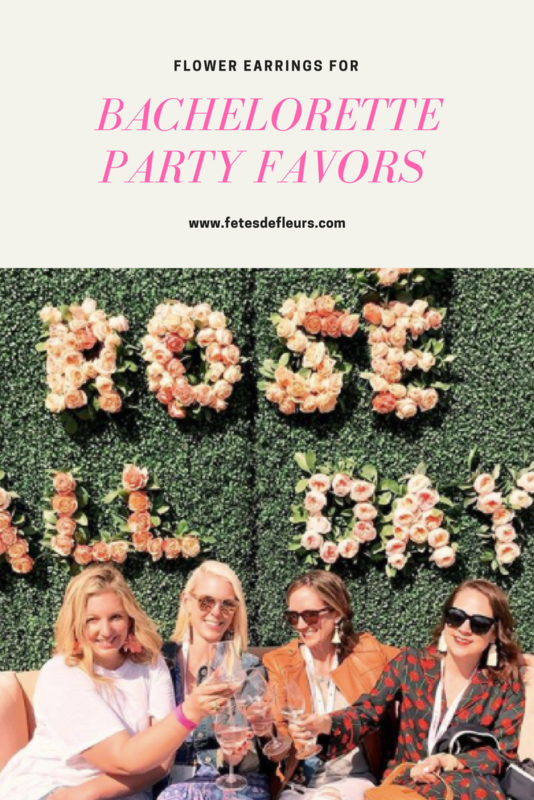 Fetes de Fleurs means "flower parties." We want you to live your best, flowery life by wearing flower jewelry. That is why we launched our flower earrings line and we hope you will love them just as much as I do and my friends! Here is a link to the purple flower earrings on our Etsy shop. 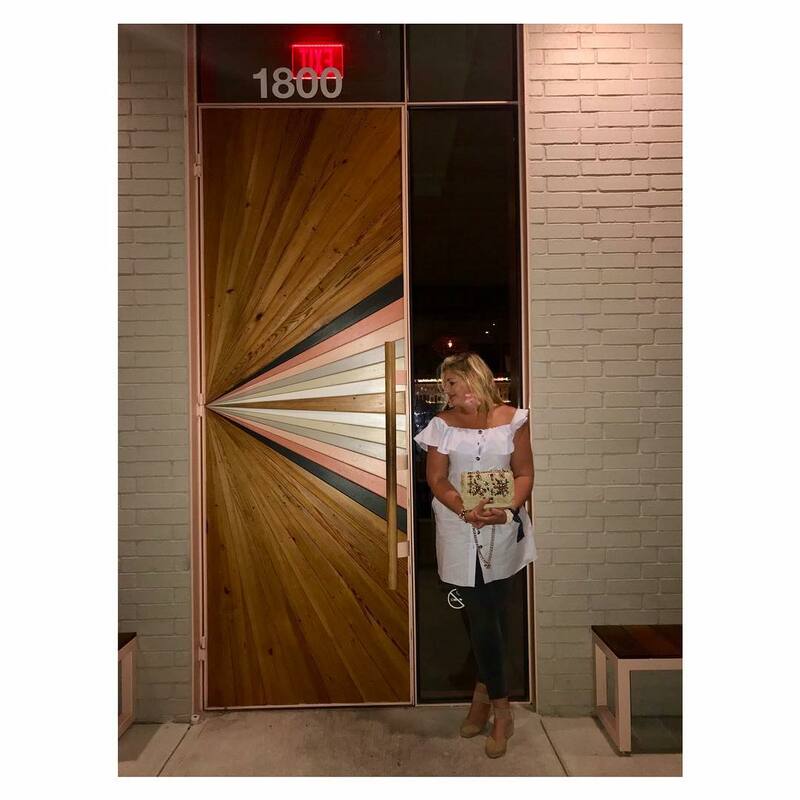 When you go to bachelorette-y cities and ladies weekend cities like Austin you will see bride tribes out at night rocking bachelorette t shirts and I always think is this really what they want to wear? Instead of wearing bachelorette t shirts why not wear some fabulous statement earrings that you can wear again outside of the weekend? The holidays will be here in no time. That is why we thought we would get to work on our holiday flower earrings collection. 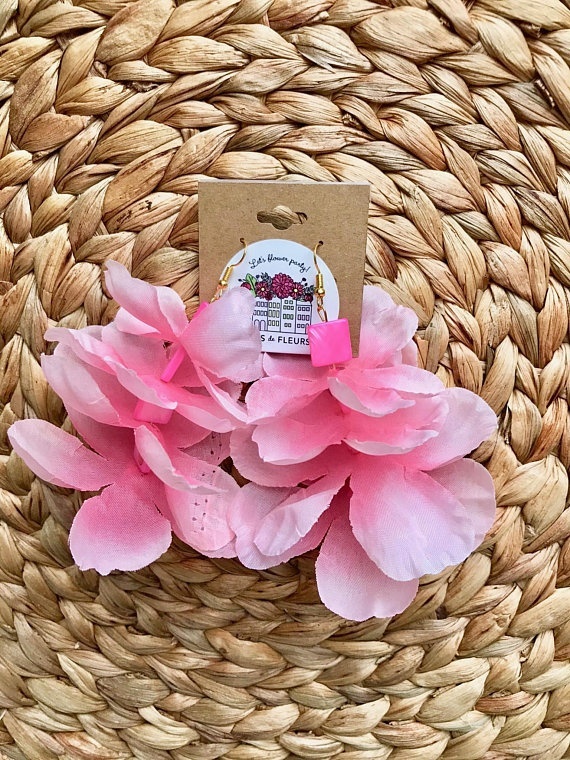 Right now we have 2 flower earrings up but we plan on putting more up on the Flower Crown Bar ecommerce site as soon as we come up with our best work! We hope that you love these as much as we do. 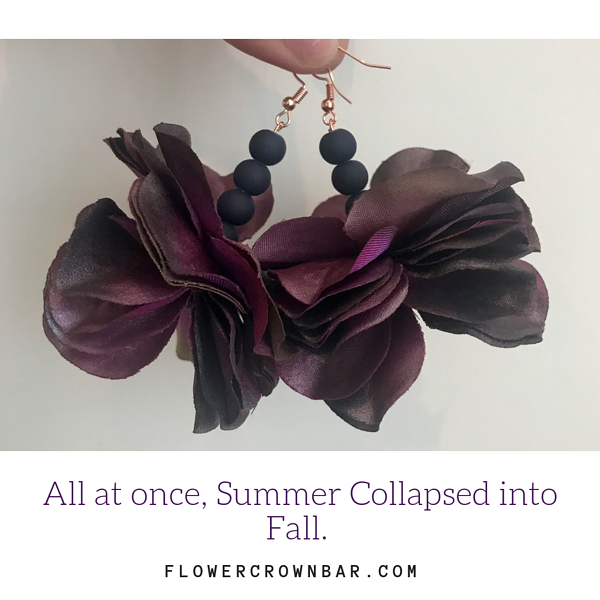 We are really working hard on adding in as many fall colors to our fall flower earrings collection as we can. I love the idea of fur beads with these, or velvet beads and even tortoise shell beads. I am heading out on a work trip this week - going to San Francisco and LA (fun right)...so when I get home I plan on ordering a lot of fun fall beads to help make these fall flower earrings the best they can be! Are you ready for Flower Earrings? Fill out the form below to request more information on a custom flower earrings order from us. Or head over to the Etsy Flower Shop here or our online shop for flower jewelry here.